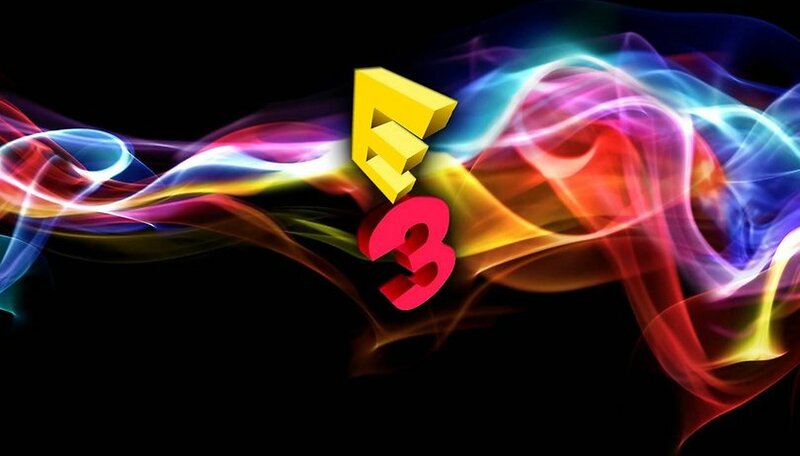 E3 2018 has come and gone, and while we didn't see much in the way of new hardware, the usual suspects still presented plenty of new games from popular franchises to slaver over. But it's often the case that the most interesting tibits at a big expo are overshadowed by the big names. Some didn't even happen at the main convention. Let's take a look at the three coolest things you might have missed from E3 2018. Pity the poor tech journalists here and at outlets all around the world, who must pay close attention to press conferences so you don't have to, and endure excruciating marketing buzzwords and empty hype, all so we can pull out the good stuff and give you the news. But among the humdrum hype and self-congratulation, there is one company that does things differently, or at least, wraps up the hype and self-congratulation in a entertainingly sarcastic package, and that's Devolver Digital. Representing the indie publisher was foul-mouthed Chief Synergy Officer Nina Struthers (actress Mahria Zook), who offered an irreverent and scornful take on the industry, taking snarky pot shots at management jargon, gamers, developers, loot boxes and cryptocurrency. In between the snark, however, Devolver Digital didn't come to the table empty-handed. In fact, three new games were revealed—Scum, Metal Wolf Chaos XD and My Friend Pedro. Scum is already on early access on Steam, and Metal Wolf Chaos isn't exactly new—but it's great to see that the Japanese game in which the US President dons a massive mecha suit to battle domestic insurrection will officially come to the land of the free. Finally, My Friend Pedro is the slick rebirth of a cult flash game, the most intriguing of the bunch: from all appearances, an attractive linear platform shooter with a "bullet time" mechanic for stylish kills a la Max Payne. While it seems like Nina could escape her past (or is it future?) at the end of the conference, we've every confidence that Nina Struthers will be rebuilt, bigger and badder, for E3 2019. Sharks, the bad boys of the ocean bar none (sorry, pirates), possess a menacing allure that's built them a strong human fanbase who love to tune in to Shark Week and see the big fish on the big screen with Jaws and the '-Nado film saga. But aside from a few brief sequences in the old Ecco the Dolphin Genesis titles, there isn't much in the video game world that lets us get our shark on. Until now. Maneater is a new open-world RPG in which you play as a shark in a quest for survival and revenge (yes, really, there's a story). Swim the oceans and explore its depths, meet interesting sea creatures, and eat them. Eat all the things. Most, importantly, given the title, eat the man. Maneater is developed by Blindside Studios and published by Tripwire. Lead developer Alex Quick previously created the underwater shooter Depth, a multiplayer game that had some shark action, but Maneater will be on a whole new scale. While our begilled protagonist will no doubt be water-bound, we're promised a variety of environments to explore, including sunken shipwrecks, swamps and most thrillingly, a holiday resort filled with unsuspecting tourists. That's not all. This is an RPG, which means character development. Apparently, you will be able to evolve your shark and improve different traits and abilities. How this will be justified in-game, we don't yet know, but does anyone care? Among the indie titles showcased this year, Foamsword Games’ Knights and Bikes looks particularly poised for greatness. Featured by Playstation during its livestream early on in the expo, this adventure seems set to capture the hearts of both the older generation who covet their Goonies VHS, and the newer one who got hooked on Stranger Things. Set on a British island in the 1980s, Knights and Bikes has players (yes, there's co-op, local and online) take on the role of girls Nessa and Demelza on a quest to explore the islands save the locals and of course, hunt down a fantastic treasure. If that wasn't cool enough, you get to take care of a pet goose named Captain Honkers—sold and sold. The game's stylish aesthetic helps it stand out, but for us gaming couples out there, the announcement of such a promising game with local co-op is exciting itself. With so much emphasis on competitive multiplayer at the height of the battle royale trend, it's great to see a developer that hasn't forgotten the joy of playing with (not against) the person in the room right there with you. Which game is the king of battle royale? Have you been following E3 2018? What were your personal highlights?